The Guillermo Mendoza Memorial Scholarship Foundation (GMMS) give awards to some of the Kapuso show and personalities at the 50th Box Office Entertainment Awards last week. The Kapuso Primetime King Dingdong Dantes were given an award for Phenomenal Star of Philippine Cinema for his act on MMFF entry Fanastica. 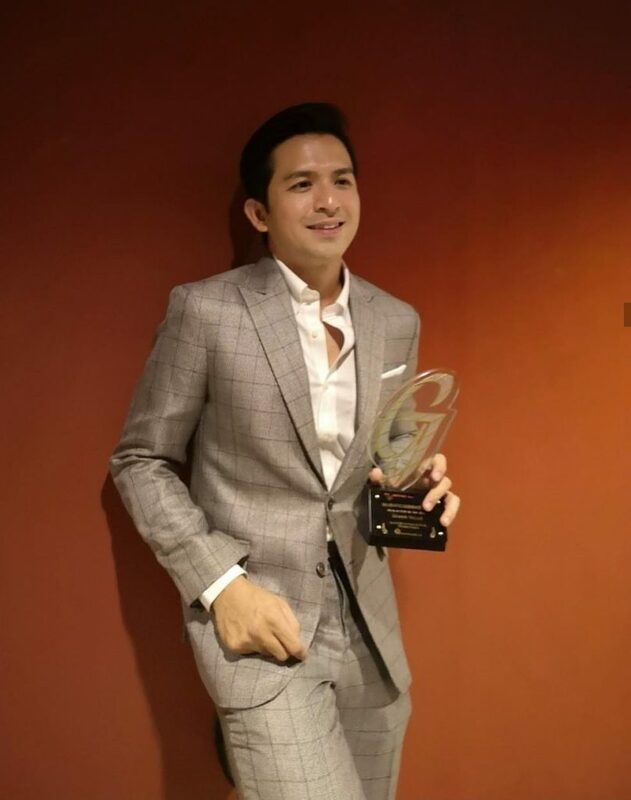 While the Kapuso Dennis Trillo were given the Actor Of The Year. While Vic Sotto and Maine Mendoza got the Box Office King and Queen for Jack Em Popoy: The Puliscredibles. The Supporting Actress goes to Ms. Nova Villa. Comedy actors of the year are awarded to JOWAPAO Jose Manalo, Wally Bayola and Paolo Ballesteros. While Comedy Actress for Television goes to Ms. Eugene Domingo. For television category, Ken Chan and Glaiza Decastro won TV Actor of the Year and TV Actress of the Year for their Daytime Drama. The Most Popular Love Team for Television goes to Bianca Umali and Miguel Tanfelix. While the Onanay star Jo Berry won the Most Promising Female Star for Television award. Other Kapuso stars were givn special awards like Ms. Gloria Romero received Golden Jury Award for All Time Favorite Actress. While The Kapuso Primetime Queen Marian Rivera received Bert Marcelo Lifetime Achievment Award. Ms. Nora Aunor received Corazon Samaniego Lifetim Achievement Award. And our Philippine Boxing Pride Manny Pacquiao received Global Achievement by a Filipino. Furthermore, Promising Female Concert Performer of the Year goes to Kyline Alcantara. Most Popular Recording/Performing Group goes Ex-Batallion. Most Popular Male Child Performer goes to Baeby Baste. Popular TV Program goes to News & Public Affairs Kapuso Mo, Jessica Soho. The Popular TV Program Daytime Drama is My Special Tatay, While Popular TV Program – Musical Variety/Noontime/Primetime is Sunday Pinasaya.